The magic of globe lighting and permanent festival lighting can be enjoyed throughout the year. 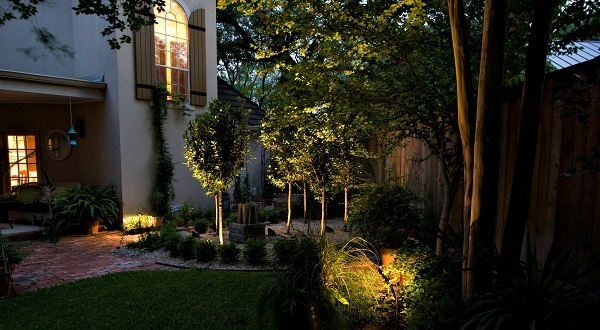 With all the emphasis placed on the many benefits of outdoor lighting you have to keep in mind that the scale or genre of that outdoor lighting doesn’t have to be grand to be effective. 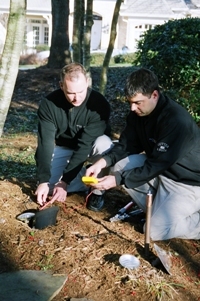 Maybe you have a spot within your landscape that is difficult to light using conventional outdoor lighting methods. You might even have that one spot in your yard, or adjacent to your home that is unused, and overlooked because you are the only one that has the vision to see it as a diamond in the rough. For these type of scenarios, or if you just want to escape from the norm. Fiesta (or festival) lighting and globe lighting might just be the answer. You might have already seen this type of lighting used in commercial applications while visiting the patio of some quaint tavern or bistro and remember the impression the lighting made on your entire dining experience. That same mood lighting used in many successful upscale eateries can be yours for the asking, right in your very own backyard setting. The addition of permanent festival lighting made a huge impact on this courtyard space and the manner in which the homeowners now use it. 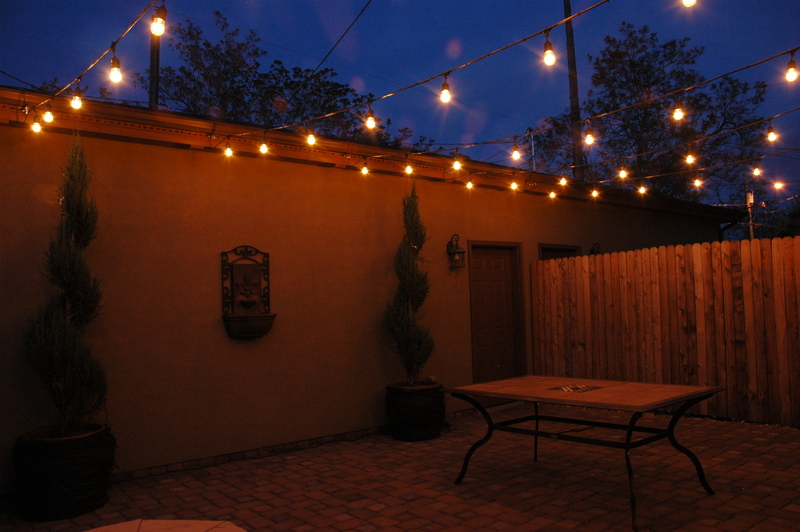 Festival lighting does deliver a viable light source to improve function in a specified area, but more than anything fiesta-style and globe lighting can help paint a picture of the mood you want to convey with your space. 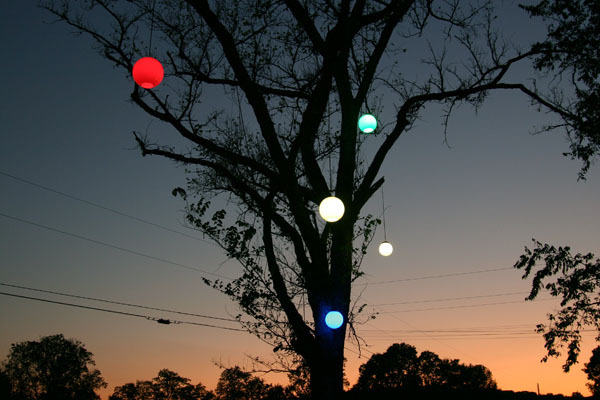 Permanent festival lighting is tough enough to weather all seasons and can become the highlight of your outdoor lighting design simply because it induces whimsy and fun at every age. 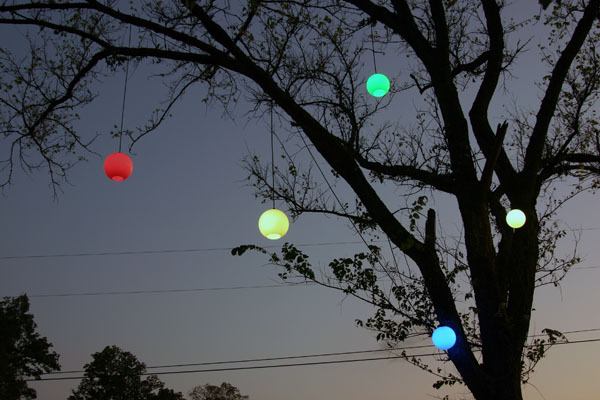 Globe lighting is available in a rainbow of colors to suit any taste. By using commercial grade lighting products and using a cable to support the weight of the wiring components we can ensure the safety and the integrity of the system over long spans. Permanent fiesta lighting is available in white and colored light hues. We can even instill the use of unique globe lights as part of lighting your unique space. With the Halloween season quickly approaching could you imagine hosting the neighborhood autumn celebration on your covered patio, or other outdoor space with these lights strung amid the decorations and tempting treats for all to enjoy? Having the capability to use these lights in time for the upcoming holiday would definitely be a unique way to showcase the occasion, and after the party is over you will still be able to take advantage of the endless possibilities having such a unique, and distinct lighting installation will ensue. From outdoor parties, or just enjoying the evening over an outdoor dinner for two will take on new meaning under the illumination of permanent festival and globe lighting. 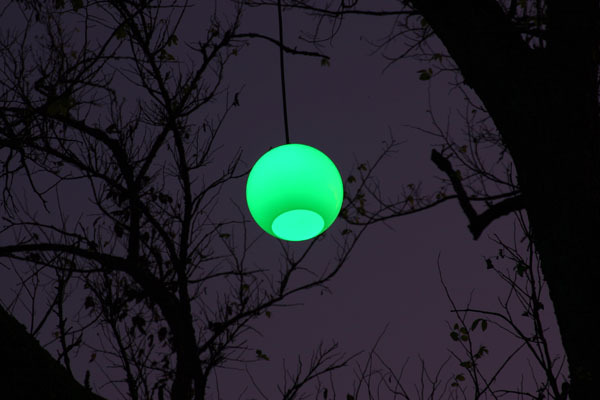 Globe lighting can cast a haunting to happy glow on your outdoor gatherings. 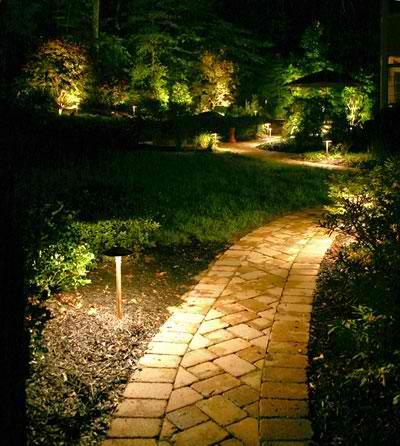 Our path lighting creates an entrance of safety and beauty by focusing on the light and not the fixture. Notice how few of our fixtures are needed to achieve results like this. This past weekend I had to venture into one of the “big box” stores to grab a gallon of milk and some necessities on the way home from work. I usually avoid these stores, but it was close and on the route home. As I quickly grabbed some dog treats for my pooch, I noticed a long aisle filled to the brim with solar stake lights. There were lights as far as the eye could see, silver toned, gold toned, green topped and even some with insects on top. It reminded me of an army ready for battle. Unfortunately, in the business of outdoor lighting this type of lighting never wins the victory the homeowner is looking for. I carefully watched a young lady from afar go over the number she thought would do the trick for the area she had in mind. It is probably safe to assume she was planning on illuminating her entry or possibly her landscaping border. By the time she was finished making her selection her buggy was brimming over with at least 30 stake lights. I automatically wanted to speak up and tell her there is a better way. I decided not to approach her, it could make her uncomfortable and the big box store might think I am trying to take their business. As I left the store that evening I couldn’t help but reflect on that young lady filling her buggy with stake lights. She had the right idea, but was going about it with the wrong answer in mind. 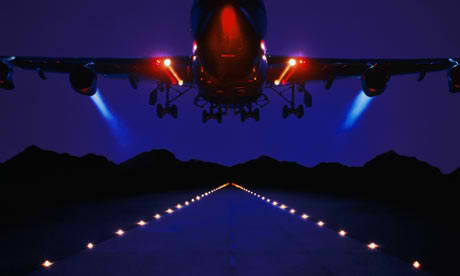 Does your outdoor lighting resemble an airport runway? 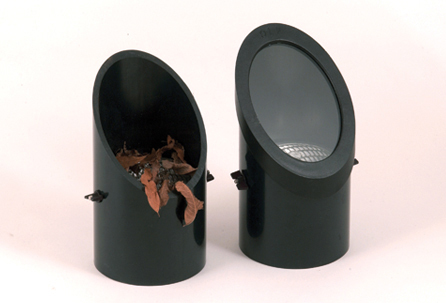 When you are dealing with inferior quality outdoor lights, for example the stake lights which are predominately used to border a dark path or walkway, you are never going to be able to get enough quality light out of them to efficiently light your intention. Just one of our path lights will achieve what nearly 100 solar stake lights still cannot provide. It is what we refer to in the business as “the airport runway effect”. It takes so many of these lights that you end up with your lawn looking like an airport runway. 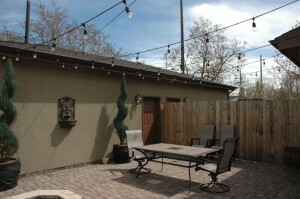 With outdoor lighting less is more. You want the eye to focus on the area you are lighting, not the lighting fixtures. 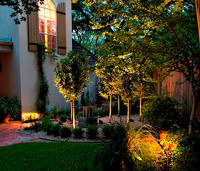 A professional outdoor lighting design leads your eye to a focal point, an effect, even changes your mood. 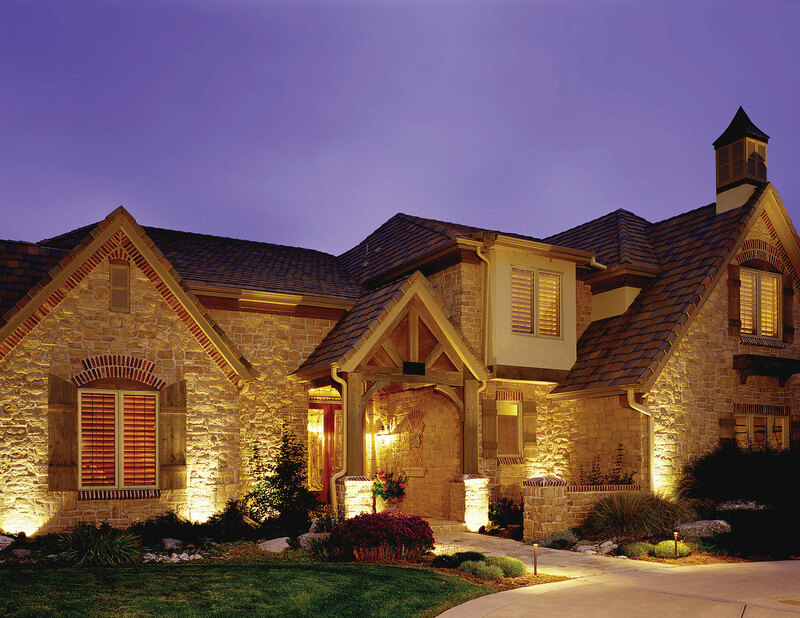 When you look at your home at night do you notice the lighting fixture or the illumination it exudes? 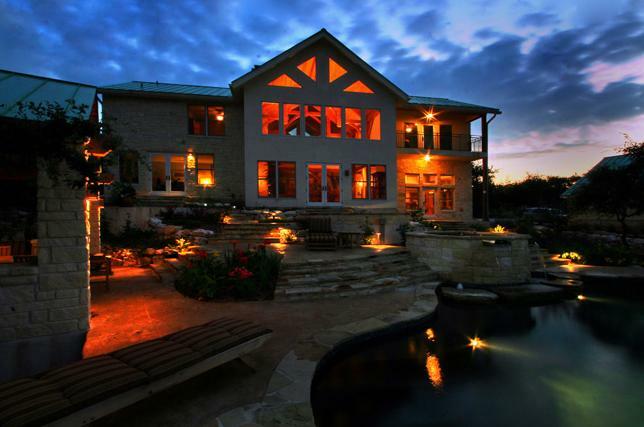 Many homeowners think that professional outdoor lighting is beyond their reach. This is certainly not the case. We can properly light your homes exterior and landscape on a budget, or complete it in phases that will accommodate your need and budget as well. 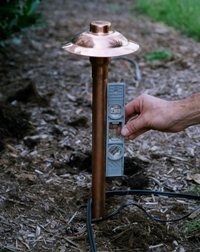 Just as the old saying goes “you get what you pay for”, our lights will endure the test of time and will last for many years to come, whereas those stake lights will stop working as early as within this year. Take into consideration how often they will need replacing and you would be surprised that our lights are actually more economical in the long run. Move up to quality lighting, the return on your investment is incredible!